Carlyle Dental offers TMJ treatment for residents living in Kinston, Goldsboro, Greenville and the surrounding areas of North Carolina. 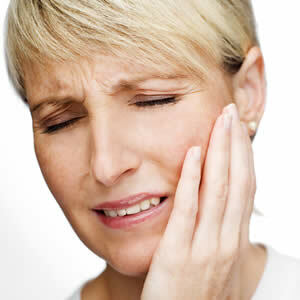 TMJ, or Temporomandibular Joint Disorder, causes pain in the jaw and mouth, along with many other symptoms. The disorder occurs when the temporomandibular joint, which is a complex ball-and-socket type joint connecting the skull and lower jaw, becomes displaced. This displacement affects every aspect of jaw movement and functionality and is also connected to an intricate network of bones throughout the head and neck. Therefore, TMJ can cause not only jaw pain, toothaches, headaches, problems chewing, smiling, or speaking, but can contribute to many other issues that may initially seem unrelated. These symptoms can go undiagnosed, or can even be misdiagnosed as migraines. As a result, it’s important to survey all the symptoms you are experiencing, and then pay a visit to Carlyle Dental in order to determine if you are suffering from TMJ Disorder. Chronic pain in the face, head, neck, shoulders or back. Sensitive, sore, or loose teeth. Ear congestion or tinnitus (ringing in the ears). Paralysis or extreme facial pain (neuralgia). Other indicators that might support a diagnosis of TMJ include habits such as jaw clenching or teeth grinding, or if you have been involved in a situation such as a concussion or whiplash where joint displacement might have occurred. Although TMJ often goes undiagnosed by physicians, a skilled dentist with a good understanding of neuromuscular dentistry and jaw alignment principles such as Dr. Carlyle can make a proper diagnosis and devise a treatment plan. At Carlyle Dental, TMJ disorder is evaluated by taking measurements of the jaw, as well as a mold of your bite in order to evaluate how the jaw and bite interact. The displaced temporomandibular joint is then gradually realigned until the imbalance disappears. Prescribed dental appliances such as a splint, mouth guard or a neuromuscular orthotic may be used to help adjust the lower jaw alignment. TMJ treatment in Kinston, NC and Greenville, NC is supported by limiting jaw movement, a prescription antiimflammatory agent, use of hot and cold packs, and with dietary adjustments for easier chewing. TMJ disorder can have a severe impact on your health and quality of life, so it is important to obtain a proper diagnosis and treatment plan. Carlyle Dental offers TMJ treatment to residents of Kinston, NC and Greenville, NC. How Much Does TMJ Treatment Cost in Kinston, NC? The cost for TMJ treatment varies and depends on the extent of treatment necessary. We accept cash, MasterCard, Visa, and personal checks. Insurance is accepted, and we also have financing available through CareCredit® and Compassionate Healthcare Services®. If you don’t have dental insurance, don’t worry! Dr. Carlyle is one of the only dentists in North Carolina that is in network with many medical insurance companies. At Carlyle Dental it is possible to use your medial insurance to cover the cost of your TMJ treatment.